Experts of the Russian Quality System (http://roskachestvo.gov.ru/) made a decision that the most popular applications for ordering a taxi can cause the leakage of personal data, such as Bank card information. Experts tested such programs as "Yandex.Taxi", Uber Russia, Maxim, Gett, City-Mobil, Rutaxi and Fasten. It turned out that almost half of the applications are vulnerable to DDoS attacks which can cause a blocking of the service. The test showed that there are a number of potential vulnerabilities in applications, for example, weak hashing and encryption algorithms and insecure SSL implementation. In turn, Taxi services specified that their programs use a secure data transfer protocol, and all information is stored in encrypted form. According to experts, people should not order a taxi when connected to an open Wi-Fi network or they must install a VPN client on the device. The idea of taxi applications nowadays is very practical and comfortable, but the quality of services leaves much to be desired. It turns out that in reality companies are not responsible for the qualification of taxi drivers, as well as for its absence when it comes to litigation. It will not be surprising if next time companies will not take the consequences for the leakage of personal data. If you are from India and have ordered Burger in McDonald's, your personal details are at risk. Security researchers from Fallible found a serious vulnerability McDonald’s India application that allows hackers to access millions of customer data. There is no authentication or authorization check in API used in the application. 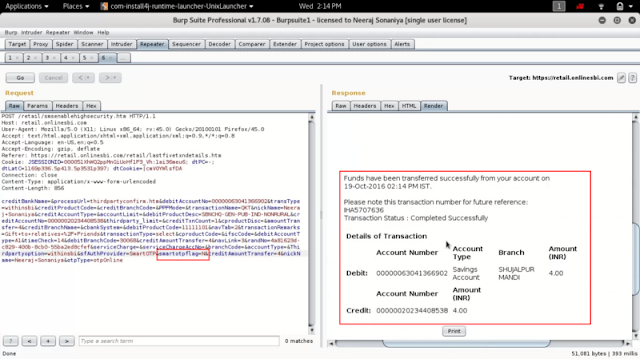 Sending request to "http://services.mcdelivery.co.in/ProcessUser.svc/GetUserProfile" with customer id in the header allows to access customer details. The customer id is a sequential number. 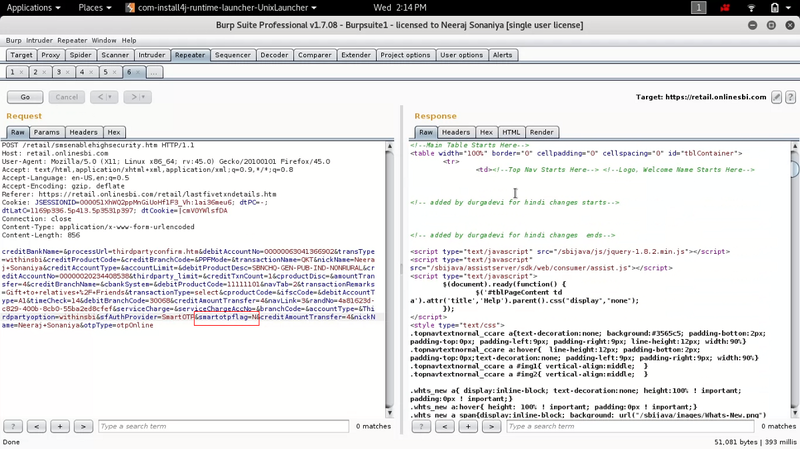 All an attacker needs to do is create a script and increase the number to dump all customer data. "The lack of strong data protection and privacy laws or penalties in India, unlike the European Union , United States or Singapore has led to companies ignoring user data protection" The researcher said. "We have in the past discovered more than 50 instances of data leaks in several Indian organizations." The researcher said. The vulnerability allows attackers to obtain name, address, email address, phone number, Date of birth, GPS Co-ordinates and social profile details. The researchers reported the issue to McDelivery on 4th February, 2017. After few days(13th Feb), they received an acknowledgement from the McDelivery IT Manager. From 7th march, Fallible tried to contact the McDelivery to know the status. However, there is no response from their side. The bug is still not fixed, at the time of writing. In Jan 2017, a researcher Tijme Gommers found two critical bugs "an insecure cryptographic storage vulnerability" and XSS in McDonald. IT security firm Trustwave has been accused of failing to properly investigate the card breach suffered by the Las Vegas-based casino operator Affinity Gaming in 2013. Affinity Gaming filed a complaint in the district court of Nevada in December alleged Trustwave of misrepresenting themselves and failed to perform the adequate investigation, identify the breach, and falsely misinform them about the correction of the breach. In December 2013, Affinity Gaming suffered a security breach that penetrated their payment card systems. They called Trustwave to investigate the matter. After Trustwave completed its investigation, Affinity Gaming called Ernst & Young to conduct penetration testing. While penetration testing testers identified suspicious activity associated with a piece of malware. Now Affinity Gaming called FireEye-owned forensic specialist Mandiant for further investigation. The complaint was filed based on the latest investigation done by Mandiant. “Trustwave had failed to diagnose that the data breach actually was the result of unidentified outside persons or organizations who were able to compromise Affinity’s data through Affinity Gaming’s Virtual Private Network (VPN), and that the ‘backdoor’ these persons/organizations had created — which Trustwave had speculated may have existed but concluded was ‘inert’ — was very real and accessible,” reads the complaint. “Mandiant also determined that the unauthorized access and renewed data breach occurred on a continuous basis both before and after Trustwave claimed that the data breach had been contained,” it continues. Affinity is looking for damages in excess of $100,000 / €92,000. Spymel, a new Trojan discovered by Zscaler (a US-based cyber-security vendor), reaches computer through spam emails and remain undetected from security products. It is notion that the archive file does not contain the malware, so the antivirus products fails to flag the danger. 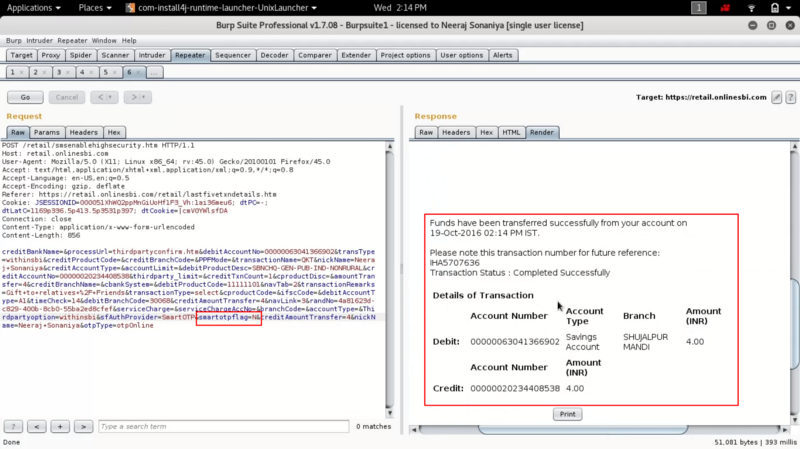 .Net binary is also not detected because of the digital certificate that is issued by SBO INVEST via DigiCert. 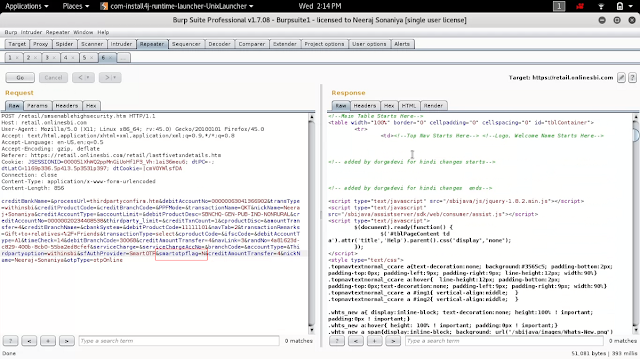 Spymel can act like a malware payload downloader , make screenshots of a user's desktop, record videos of the desktop, log keystrokes, and upload stolen data to a remote server. Someone has made a device that costs $10 which could steal credit card information when anyone has lost his credit card and applied for a new card. And before he gets it, the device helps hacers to steal or at least guess the credit card number. The device dubbed MagSpoof was made by Samy Kamkar. 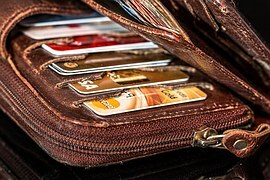 The device can predict and store hundreds of American Express credit card numbers, allowing anyone to use them for wireless payment transactions, even at non-wireless terminals. According to the hackers, MagSpoof can spoof any magnetic stripe or credit card entirely wirelessly, it also disable chip and PIN (EMV) protection and accurately predict the card number and expiration date on American Express credit cards. 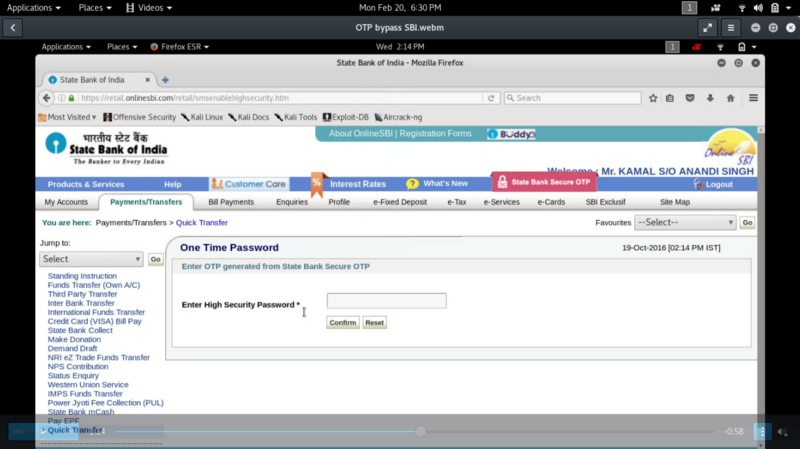 “MagSpoof can be used as a traditional credit card and simply store all of your credit cards (and with modification, can technically disable chip requirements) in various impressive and exciting form factors, or can be used for security research in any area that would traditionally require a magstripe, such as readers for credit cards, drivers licenses, hotel room keys, automated parking lot tickets, etc,” Kamkar said in a blog post. MagSpoof emulates a magnetic stripe by quickly changing the polarization of an electromagnet, producing a magnetic field similar to that of a normal magnetic stripe as if it's being swiped. The magstripe reader requires no form of wireless receiver, NFC, or RFID. MagSpoof works wirelessly, even with standard magstripe readers. The stronger the electromagnet, the further away you can use it. The device actually guesses the next credit card numbers and new expiration dates based on a cancelled credit card's number and when the replacement card was requested respectively. This process does not require the three or four-digit CVV numbers that are printed on the back side of the credit cards. The hacker has notified American Express and said the company is fixing the flaw. FBI has refused an accusation of paying at least $1 million to Carnegie Mellon University (CMU) researchers to infiltrate Tor, a free software implementation of second-generation onion routing that enables its users to communicate anonymously on the internet. The intelligence agency told Ars Technica, that these accusations of paying the security researchers of the university to disclose the Tor users as well as Reveal their IP addresses as part of a criminal investigation was 'inaccurate'. "The allegation that we paid (Carnegie Mellon University) $1 million to hack into Tor is inaccurate," the FBI said. However, the Tor Project team had discovered last year in July that more than hundred new Tor relays that modified Tor protocol headers to track people who were looking for Hidden Services, web servers hosted on Tor that offers more privacy. The attackers used a combination of nodes and exit relays along with some vulnerabilities in the Tor network protocol that let them uncovered users' real IP addresses. After discovering the flaws, the team updated its software and rolled out new versions of code to block similar attacks in the future. But, during that time the team could not find the hackers behind the flaws. “We teach law enforcement agents that they can use Tor to do their investigations ethically, and we support such use of Tor -- but the mere veneer of a law enforcement investigation cannot justify wholesale invasion of people's privacy, and certainly cannot give it the color of "legitimate research," the Tor team said in a blog post. "Whatever academic security research should be in the 21st century, it certainly does not include "experiments" for pay that indiscriminately endanger strangers without their knowledge or consent," the post added. Now, the Tor claims to have patched the vulnerabilities but this doesn't solve the core problem. Some people are blaming Office of Personnel Management (OPM), which serves as a sort of human resources department for the federal government, some are saying unchangeable biometrics and others are blaming Chinese hackers behind the massive breach in U.S of the OPM’s servers during which fingerprints of 5.6 million people were stolen. No matter, what was the reason but the tension is about those millions people whose fingerprints have been stolen. What would be the consequence? Or there is nothing to worry about? The authority concerned needs to come up with some program to address the issue. Now, the U.S. officials have blamed Chinese government hackers without any evidence. China has also denied to have any involvement in the breach. The OPM has said that the federal experts believe there is low chance of fingerprints being misused. However, there is a possibility that future technologies could take advantage of this information. The OPM had earlier confirmed that the number of people was 1.1 million only. However, the number has now increased to 5.6 million. Not only the fingerprints, it is said that about 21.5 million individuals had their Social Security Numbers and other sensitive information affected by the hack. As per the OPM, now, Department of Homeland Security and Defense Department representatives are planning to review the implications of the stolen fingerprint data. Where the world is waiting for self driving cars to become more popular to reach the masses, a security researcher has found a major flaw in the driverless car that can possibly drive it off the road. Principal scientist at software security company, Security Innovation, Jonathan Petit, discovered that a laser pointer that costs only $ 60 could interfere with the laser ranging (Lidar) system of the car that could bring it to a halt. Most self-driving cars rely on to navigate on this system of Lidar which creates a three dimensional map and allows the car to see potential hazards by bouncing a laser beam off obstacles. Focusing the laser pointer at an automated or a semi automated car will be picked up by the Lidar system and can trick the car into thinking of some objects ahead it while there’s nothing actually. This act will force the car to slow down. A hacker can also overwhelm it with spurious signals which will force the car to remain stationary. During his tests, Petit recorded laser pulses reflected by a commercial Lidar system, and then mimicked them with the laser back at the navigation system. This method worked from a distance of 300 feet from the car, and didn’t require perfect accuracy with the laser beam. According to him, the movement of cars, pedestrians or stationary obstacles can be imitated from 50 to 1000 feet away from the car and the same attack can be carried out using a Raspberry Pi or an Arduino single-board computer. On detecting a phantom object, the car may exhibit both short and long term response. The short term reaction may only consist of an unnecessary stop but a long term stop may trick the car into believing a blockage on the road thus taking an alternative route which will affect the trip. The automakers need to ensure that simple hacks don't render driverless vehicles useless or worse. If proper steps are not taken on security implications of internet-connected cars right now, they will be vulnerable to hackers in the same way as PCs, laptops and tablets. Director of smart connected vehicles at Cisco, Andreas Mai believes that an advanced end-to-end security reference architecture and close collaboration among automakers, suppliers, technology providers and government agencies should be maintained in order to deal with modern cyber attacks. In a world, where data breaches takes place every time and all sorts of corporations look up to cyber security to protect their customer’s personal and financial information, car companies have something major to worry for. Automated cars were developed with thought for safety as the conventional, human-driven cars produced many instances of bad decisions of humans while driving. Road accidents happen because of human errors on when to accelerate and when to put brakes. 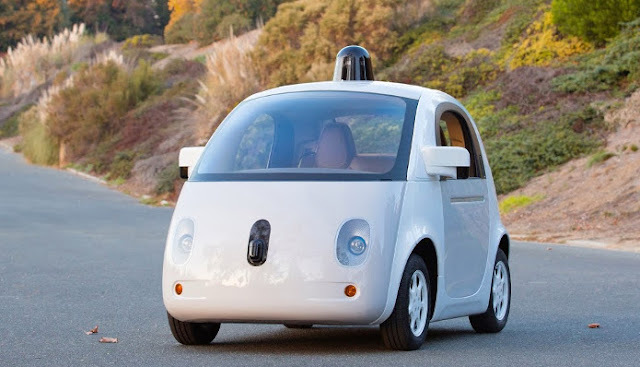 But Google, which has led the way on self-driving cars, has experienced several accidents since hitting the road. In July, one of the firm’s Lexus SUV driverless cars was rear-ended in Google's home city of Mountain View, California. For car companies, the worry of hacking does not end with financial crimes and frauds like in other corporations but here hacking can result in real-world and real-time physical problems and injuries. While automated cars could be beneficial in future, the companies that bring them to the masses have to make people comfortable about them. They won't be successful if they aren't perceived as completely safe. Richard Neele (40) has been sentenced to 18 months in prison for hacking into 900 phones of insurance company Aviva. Neele deleted the data on all the 900 smart phones making the company lose out on 5,00,000 pounds onf business. Neele was a director at Esselar. a company which had been contracted by Aviva to manage its security network. Neele has said that he carried out hte attacks becauys eof falling out with his colleagues. He hacked the system at Aviva in May 2014 when Esselar was giving a security demonstration to Aviva. Splunk announced on July 9 that it had purchased Caspida, a Palo Alto startup that uses machine learning techniques to help identify cyber-security threats from inside and outside the company, for $190 million. “Under the terms of the agreement, Splunk has acquired all of the outstanding stock of Caspida for an aggregate purchase price of approximately $190 million, including approximately $127 million in cash and $63 million in restricted Splunk securities,” the Splunk posted on its blog. Haiyan Song, SVP of security markets at Splunk said it helped both companies to deal with the onslaught of machine data coming from IT systems using data science techniques and automation to make sense of it. Part of that is a growing security business, which accounted for a third of the company revenue in its most recent quarter. “With Caspida, Splunk accelerates its focus on solving advanced threats - both external and from insiders - by shining a light on those who are wrongfully using valid credentials to freely and unpredictably exploit systems they have accessed. By addressing the entire lifecycle of known and unknown advanced threats, and by providing a platform to detect, respond to, and automate actions, Splunk has further reinforced its position as the security nerve center,” he added. It is said that Splunk is adding a new tool to its security arsenal to beef up the ability to locate threats using the machine learning techniques that Caspida has developed. “Like everyone, Splunk has watched the growing number of breaches over the last year, and its customers have been asking for better security detection tools to help battle these threats, many of which use with compromised credentials. This kind of attack is difficult to detect with conventional security techniques looking for signatures or rules. If someone comes in through the front door using valid credentials, there are no rules or patterns. They look like a valid user,” Song explained. According to the blog post, the 35 Caspida employees will join Splunk immediately. Caspida, which was launched in 2014, came out with its first product at the end of last year. “We founded Caspida with a vision of applying data science to help solve the most pressing cybersecurity challenges - advanced threats and insider threats,” said Muddu Sudhakar, CEO of Caspida. “By analyzing machine data and using data science to detect meaningful anomalous behavior of users, devices and entities, Caspida has solved a problem that previously required significant manpower and expensive, do-it-yourself toolsets. We are very excited to join the Splunk family and deliver new detection capabilities to customers,” he explained. Cisco announced on June 30 its intent to acquire OpenDNS, a security company which provides advanced threat protection for any device, anywhere and anytime based in San Francisco. It is said that the acquisition will boost Cisco's Security everywhere approach by adding broad visibility and threat intelligence from the OpenDNS cloud delivered platform. According to the press statement issued by the organization, the OpenDNS team will join the Cisco Security Business Group. As per the agreement, Cisco will pay $635 million in cash and assumed equity awards, plus retention based incentives for OpenDNS. The acquisition is expected to close in the first quarter of fiscal year 2016, subject to customary closing conditions. The press statement said that the burgeoning digital economy and the Internet of Everything (IoE) are expected to spur the connection of nearly 50 billion devices by 2020, creating a vast new wave of opportunities for security breaches across networks. The faster customers can deploy a solution, the faster they can detect, block and remediate these emerging security threats. “OpenDNS' cloud platform offers security delivered in a Software-as-a- Service (SaaS) model, making it quick and easy for customers to deploy and integrate as part of their defense architecture or incident response strategies. By providing comprehensive threat awareness and pervasive visibility, the combination of Cisco and OpenDNS will enhance advanced threat protection across the full attack continuum before, during and after an attack,” the statement read. 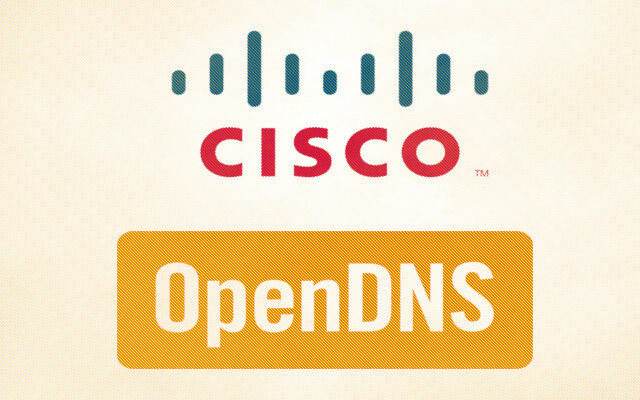 The statement added that OpenDNS' broad visibility, unique predictive threat intelligence and cloud platform with Cisco's robust security and threat capabilities will increase awareness across the extended network, both on- and off-premise, reduce the time to detect and respond to threats, and mitigate risk of a security breach. Hilton Romanski, Cisco chief technology and strategy officer, said that many people, processes, data and things connected because of which opportunities for security breaches and malicious threats grow exponentially when away from secure enterprise networks. “OpenDNS has a strong team with deep security expertise and key technology that complements Cisco's security vision. Together, we will help customers protect their extended network wherever the user is and regardless of the device,” Romanski added. 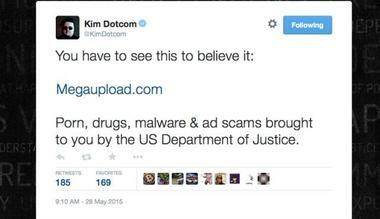 Three years ago, the US government had seized several Megaupload domains that are now directing visitors to malware scams and ads.The domains namely Megaupload[dot]com and Megavideo[dot]com are being exploited by cybercriminals to supply malware and carry out scams. Seized back in January 2012, the trial and hearing have been delayed since the New Zealand police raided the mansion of Kim Dotcom in Auckland and closed the online file locker storage website. US officials still hope that New Zealand will hand over him and his colleagues. 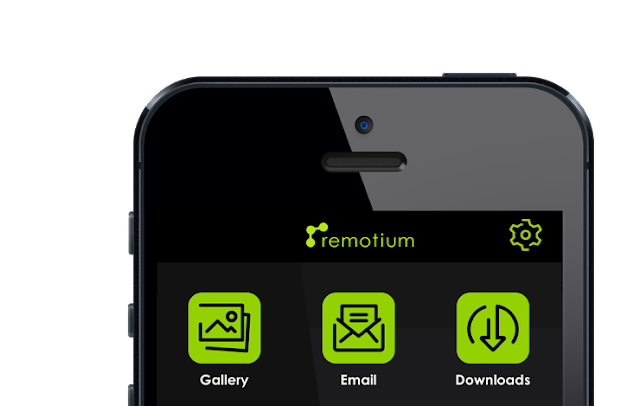 The domains redirect people to a Zero-Click advertising feed which feeds malicious links to malware installers and other malicious ads. Many of these redirects try to trap the visitors with the chance of winning iPhones for cheap. 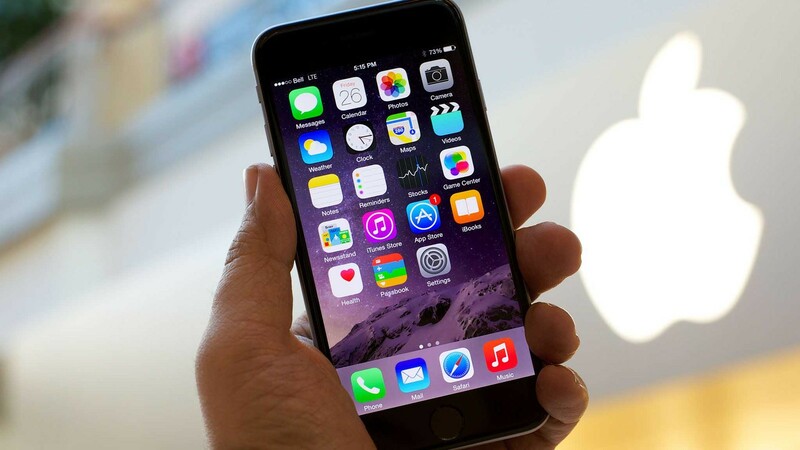 One of the malicious ads serves as the link to a false BBC article, offering the iPhone 6 for only £1. It is said that the reason behind the exploitation of the domains is the failure of the FBI cybercrime unit in controlling the main nameserver, which was previously registered to the Cyber Initiative and Resource Fusion Unit (CIRFU). 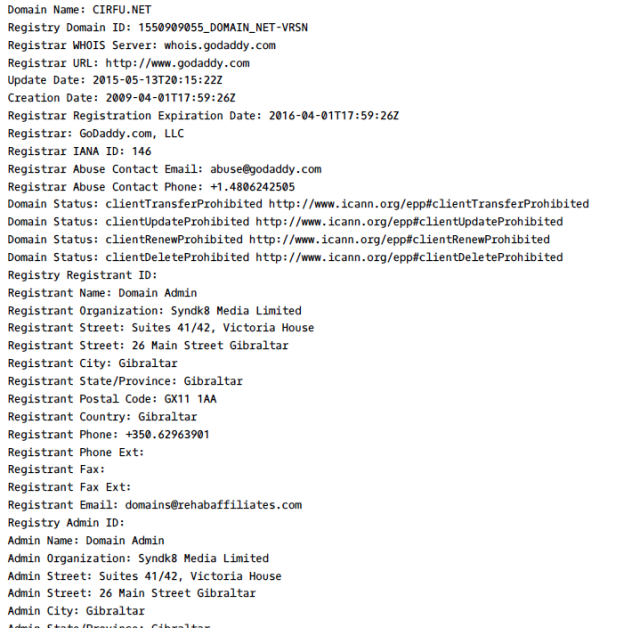 CIRFU.biz, the domain name for Megaupload.com, points to a server in The Netherlands hosted by LeaseWeb; and the domain CIRFU.net lists Syndk Media Limited as the registrant. 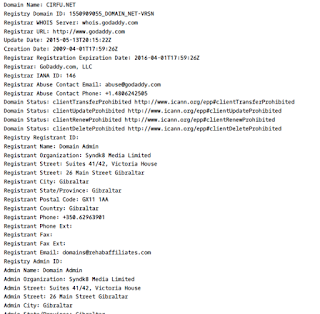 It seems that Megaupload and Megavideo are serving malicious ads run by the third party as the domain used as a nameserver by the Department of Justice has either expired or taken over via other means, and is no longer a part of the Government. “With U.S. Assistant Attorney Jay Prabhu the DOJ in Virginia employs a guy who doesn’t know the difference between civil & criminal law. And after this recent abuse of our seized Mega domains I wonder how this guy was appointed Chief of the Cybercrime Unit when he can’t even do the basics like safeguard the domains he has seized,” Megaupload founder Kim Dotcom commented. “Jay Prabhu keeps embarrassing the U.S. government. I would send him back to law school and give him a crash course in ‘how the Internet works’,” Dotcom adds. Apart from these domains, various poker sites seized previously, naming absolutepoker.com and ultimatebet.com also are linked to malicious content now. Copart, a Texas-based company which provides online vehicle auction and remarketing services, is urging its member to change their password for their Copart.com account after the company discovered that an authorized person gained access to its computer network. “As part of our efforts to address the problem, the Copart is requiring all members to change the password for their Copart.com account,” Sean Eldridge, senior vice-president & chief operating officer at the Copart, wrote in a letter. 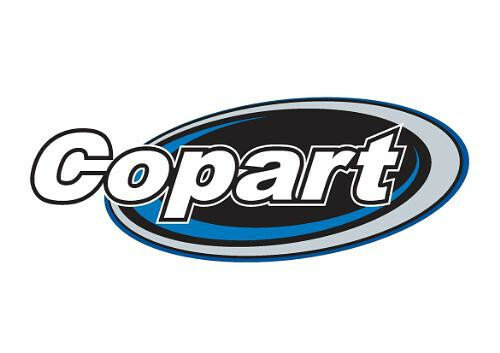 “If you have not already recently been required to reset your password, simply sign into your Copart account and go to the Change Password option under the My Account tab. Also, if you use the same username and password for any other account, we recommend that you change your password there as well,” he added. On 31 March 2015, when the company identified that the unauthorized person accessed to its network, the company immediately worked to block any further unauthorized access. A leading cyber-security firm has been hired for the investigation. It helps the company to help determine what had happened to the company’s system and to assists in implementing enhanced security measures. “Based on the investigation, we determined that the unauthorized person may have accessed the member’s name, address, driver’s license number, telephone number, e-mail address, and the username and password for their Copart.com account,” said Eldridge. In order to protect, the company has recommended its members to remain vigilant by reviewing their account statements and credit reports for any unauthorized activity. Similarly, the members can also get a copy of their credit report, free of charge, in every 12 months from each of the three nationwide credit reporting companies: Equifax, Experian and TransUnion. According to the letter, in order to order the free credit report, the members should visit www.annualcreditreport.com or call toll free at 1-877-322-8228. Eldridge said that if any member believed that his/her personal information has been misused, he/she should immediately contact the Federal Trade Commission and/or the attorney general’s office in respective Home State. Cisco has released software updates to address several vulnerabilities that have been identified in its TelePresence products, which can be exploited by hackers to compromise a vulnerable system. It has also urged its customers to update their TelePresence software. Similarly, they are advised to consult their maintenance providers or check the software for feature set compatibility and known issues that are specific to their environments. Cisco said in an advisory published on May 13 that the workarounds that mitigate the vulnerabilities, which have been identified by during its internal tests and product security reviews, are not available. “The vulnerability in the web framework of multiple Cisco TelePresence products could allow an authenticated or remote attacker to inject arbitrary commands that are executed with the privileges of the root user,” Cisco said in its advisory. “The vulnerability is due to insufficient input validation. An attacker could exploit this vulnerability by authenticating to the device and submitting crafted input to the affected parameter in a web page." "Administrative privileges are required in order to access the affected parameter. A successful exploit could allow an attacker to execute system commands with the privileges of the root user,” the advisory added. Cisco said that although, this is a serious vulnerability with a CVSS score of 9.0, it hasn’t found evidence that shows flaw has been leveraged for malicious purposes.